plus you’ll tighten those problem spots, like abs. Let The Fitness Factory show you the ropes. Our team of trainers can help you meet whatever fitness goals you are after. We work with you person-to-person, or with a team to guide you through the proper use of both weights and form, because training smart is training safe. Our training equipment is unlike anything you'll find at the big box gyms. Our equipment is scientifically designed to work your muscles to their limits. Unlike most gyms, a bench press is a bench press...weight goes up, weight comes down. Repeat. Our Strive™ bench press machines, as well as most of our machine have up to 5 Body Construction Zones. You pick the level you want to train at. Start out at Zone 1,2 and 3. Then add in 4 and 5 as you feel the need. By working the muscles this way, it allows you to vary peak resistance at any point in the range of motion. Working each muscle more completely for shorter, more effective workouts...creating a more balance and sculpted muscle. The Fitness Factory of Charlotte also has a huge selection of FreeMotion® machines. The safest, most effective mode of exercise for enhancing functional fitness. Overall muscle activation is significantly greater during free-motion exercise as compared to both fixed and free-weight exercises. Resistance training has been shown to have valuable effects on functional abilities in people of all ages. This impact is especially important among an aging population where physical activity patterns have a great influence on the prevention of chronic disease. Safety is also a justifiable factor in selection of exercises. 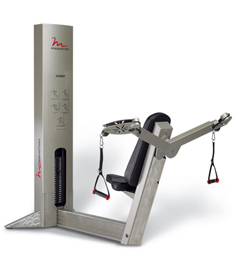 With the FreeMotion machines there are no heavy weights to lift before and after sets. The result is the most functional, safe, efficient, and effective form of exercise available. 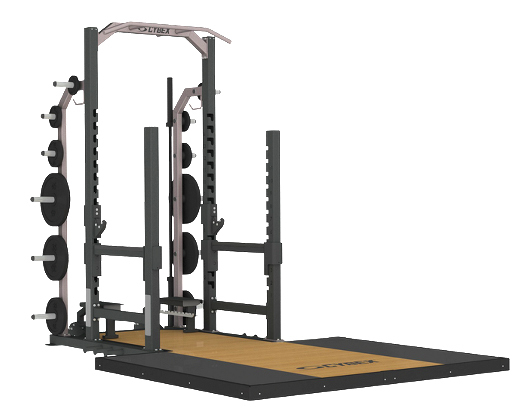 The Fitness Factory of Charlotte has an extensive selection of weight lifting racks used by top strength-training athletes in the NFL, NBA, NHL and MLB, as well as the nation's top collegiate athletic programs. We also have a large selection of free weights, kettle bells and chains to help un-lighten the load. No matter what tool, The Fitness Factory of Charlotte is the most well equipped facility in the area.